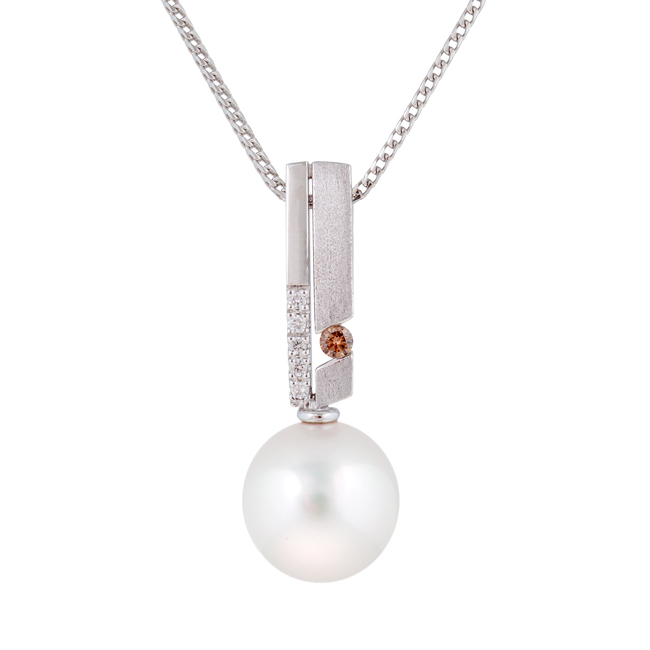 Combining the most spectacular elements from our Kimberley region, this pendant has it all. 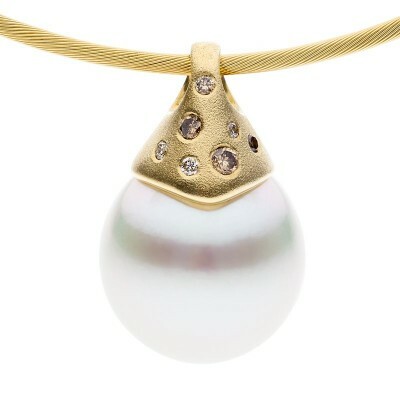 Warm hues of the rich champagne coloured diamond are set alight with pavé set briliatn white diamonds, the centre piece being a perfect teardrop shape South Sea Pearl from Broome. A must have.